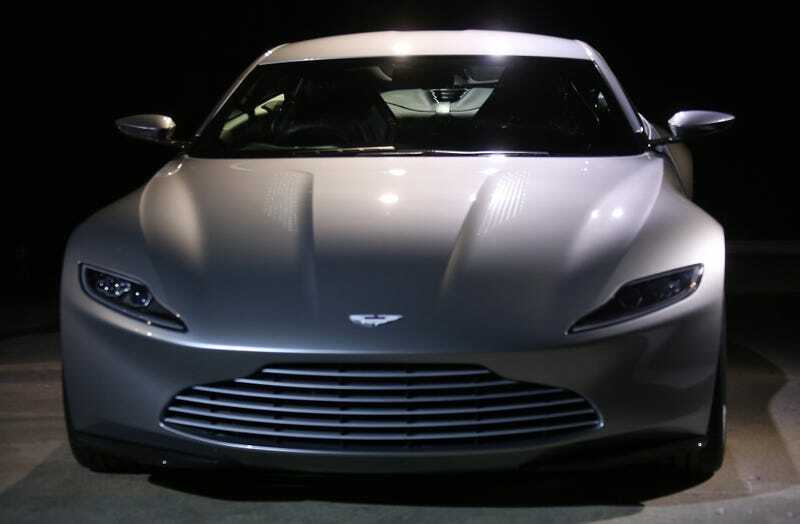 I wasn't really sold on the design of the Aston Martin DB10 set to debut in the 24th James Bond film next year when I first saw it, but now that I've seen it from more angles, I'm likin' what I'm lookin' at. The top pic comes from the Associated Press at the announcement of Spectre in at Pinewood Studios in west London. The following are from the Instagram of Benedict Wormald, who is also at the set and got some shots of the car. Not bad, right? Benedict also says Bond will be driving one of those six-wheel Mercedes G-Class SUVs in the next film, which excites me a great deal. Oh yes, it does. If you've seen other pics of the new Aston, drop them into the comments below! Hat tip to Pat Nemeth!